Less than two years old. Cranked up a couple of time but honestly the potentiometer on my 80 wpc amp is usually between 9am and 11am in usage. I've matured enough to know not to abuse speakers over the years ! Got these in early July 2017, so the sns are low for the run made xxxx27 & 28. Much more bass than my Heresy II offered, exceptional imaging courtesy of @Chief bonehead . Inquire anywhere, these produce very good sound. I have all original packaging that they arrived with, plus an extra set of the lambswool grills. 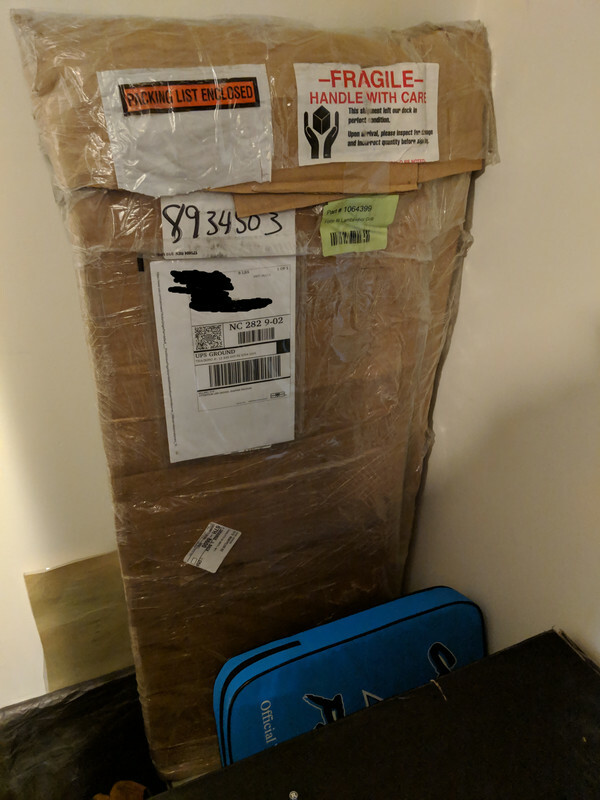 They could/did ship well in the packaging they came in. 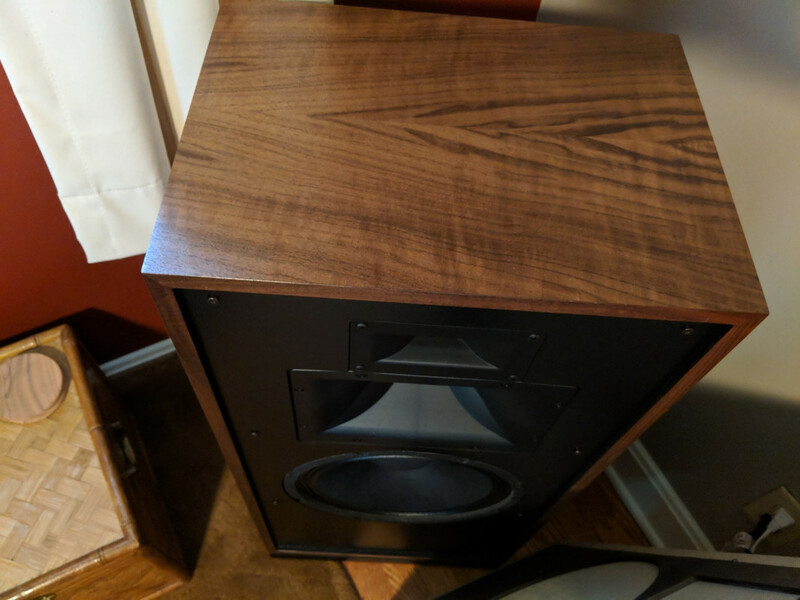 The look of the wood grain varies and shimmers with the angle of the light and the angle that you're viewing the speaker from. Problem is having bass around 38hz makes me crave lower bass! Haha ... yes; have a set of (cheaper) Forte I's and the bass is good, but ??? Just bought some JBL 18" bass bins ... 30HZ ... so far so good ... but they do require "pro power." Hooked up an SVS2000 for a few days... bass was awesome down to 18 or 19hz I think? But the sound did not "match" the good Forte bass sound. Yea I know, with them out almost a foot from each wall there is some good bass in there for low to intermediate volumes. Now when I've put it up to noon or 1:00 it can get boomy in there but sounds great at the other end of the house.... just without the staging correct of course! Talk $ to me ! That's normally a set up/calibration issue. If you continue to listen in that bedroom, you aren't going to get bass below 38 Hz. It's not big enough for a wavelength that long. It was the sealed version so not "loose" or for HT like a ported one, set out of phase well with Jeff Beck's There & Back. The timbre of the Klipsch and the svs just did not complement each other. I liked it better with the sub turned off. These do the bass well, but the mids and highs are otherworldly good with the separation and soundstage. Not quite La Scala like but closer than a Heresy in this regard! My idea for the upgrade just vanished.... you snooze, you lose. So can't see letting go of these good speakers now. But you know what the green stuff does for most all of us! & if I've got it in hand the next time some nice ones with 15s come up we could both be happy with the deal! + a couple more images of the goods. I've﻿ matured enough to know not to abuse speakers over the years﻿! Yeah right! I've said that my whole life 😂. Good luck with sale brotha. John is an awesome gentleman and I wouldn't hesitate to buy from him. So your hungry now you say? Happens every now and then!